Please have a look below for your chosen accommodation options in Rovaniemi. 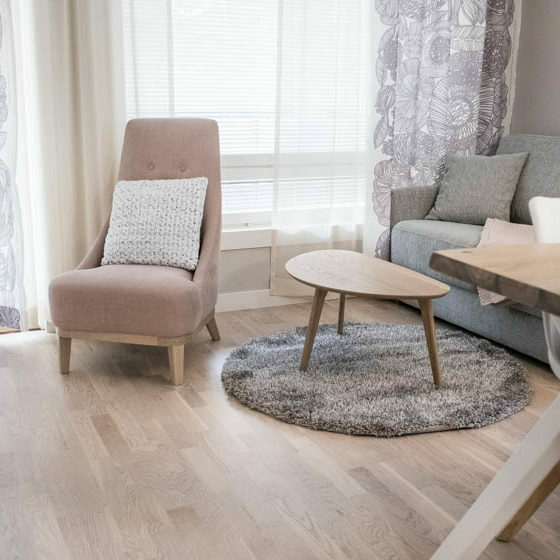 Aakenus Apartments is located in a peaceful area close to Rovaniemi town centre and offers good quality apartments at affordable rates. 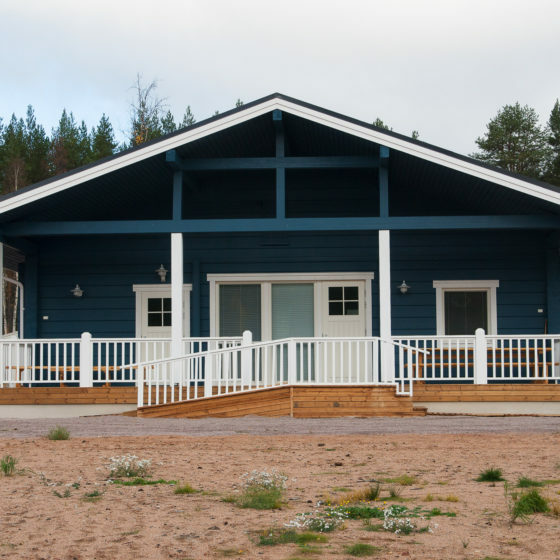 Aapishovi Chalet is located in a peaceful place at the shore of Ounasjoki river, 30 kilometers from Rovaniemi. 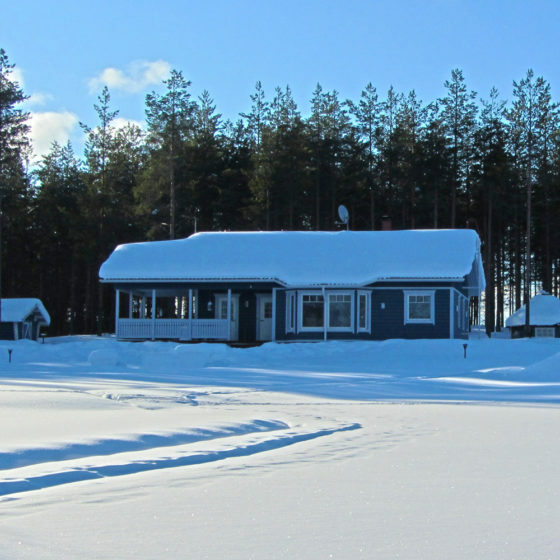 Ahosen Lomamökit is small holiday village in Rovaniemi countryside, about 30 kilometres from Rovaniemi city center. 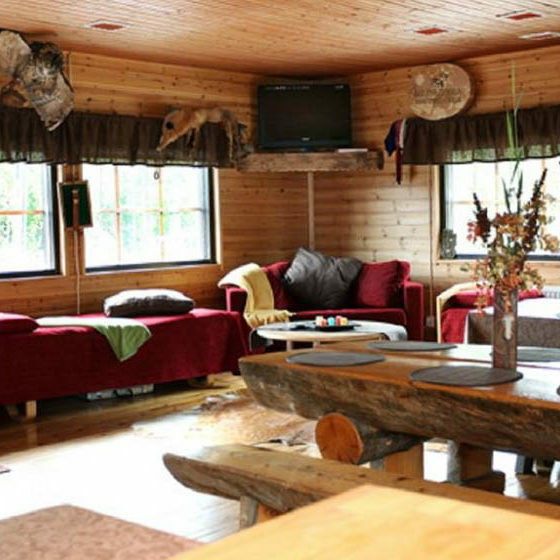 Cosy cabins for 4, 6 or 8 persons. 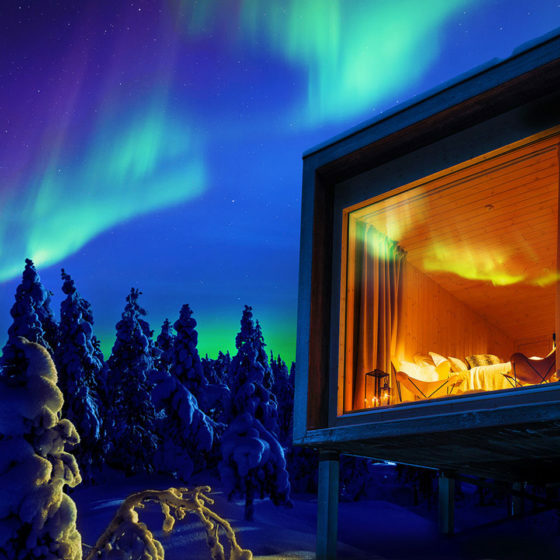 Aurora Cabins – gaze at the arctic sky from the comfort of your bed. 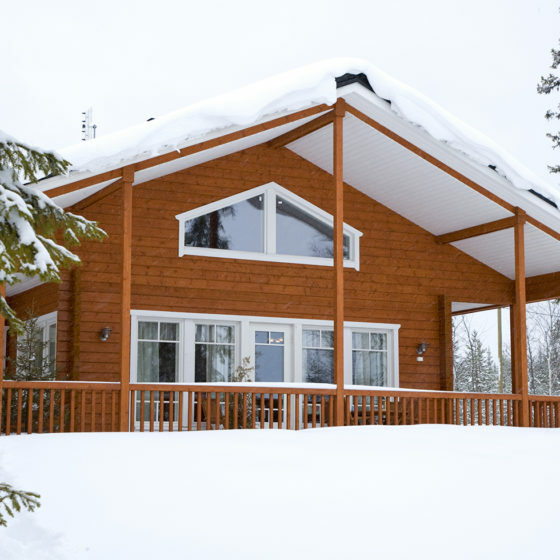 The highlight of the cabin is the panorama glass roof, which is heated, and stays clear of frost and snow at all times. 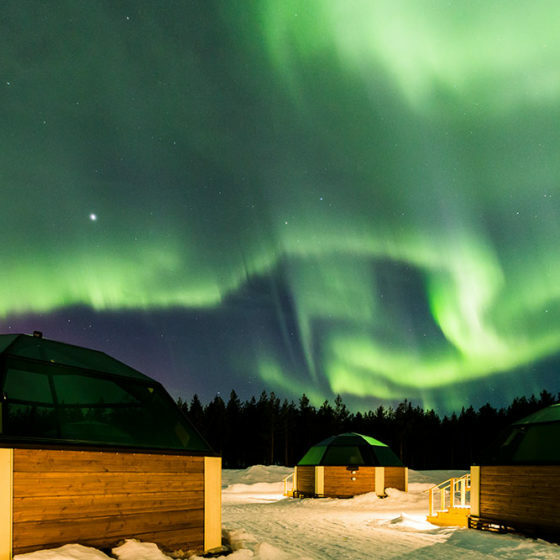 Apukka Resort provides accommodation in private rooms, apartments and special aurora cabins, as well as original aurora activities just north of the Arctic Circle in Rovaniemi, Lapland – Finland. 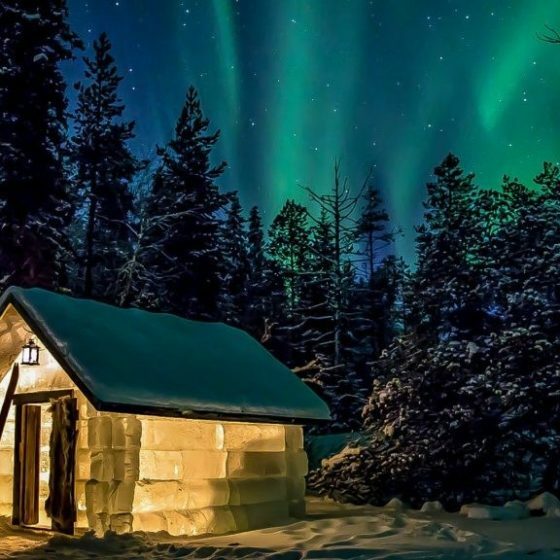 Here you can even stay overnight in an ice cabin. You don't have to worry about freezing, as you get a sleeping bag designed to keep you warm. 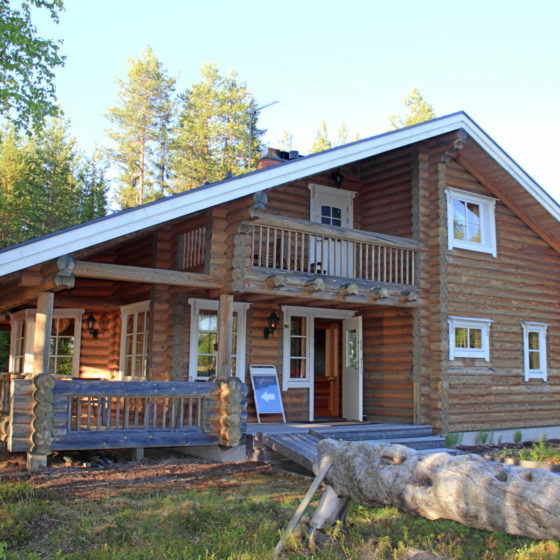 Surrounded by rapids of River Raudanjoki, lush forest and fresh air, you’ll have a chance to experience traditional Finnish log cabin accommodation in vicinity of all major attractions and activities. 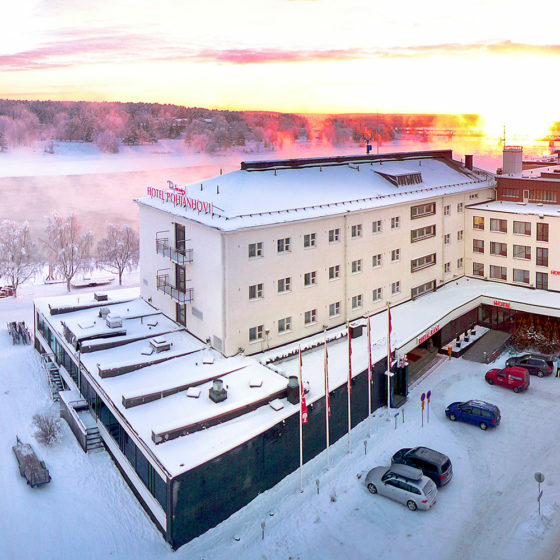 The family-owned Arctic City Hotel is located right in the center of Rovaniemi. Each of the rooms have their own character with exceptional comfort and personal service. 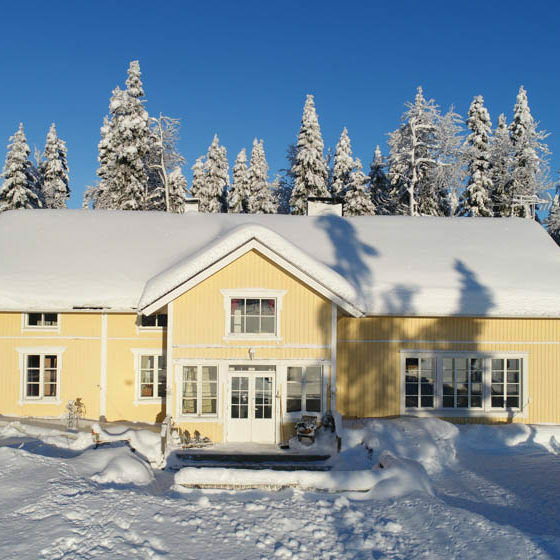 Welcome to Arctic Dreams House and experience modern amenities in rural location with sophisticated styles in The Elegant Haistila Cottage. Welcome to Arctic dreams house and experience the arctic lifestyle in The Ultra-luxe Hommala where Luxury is all around. 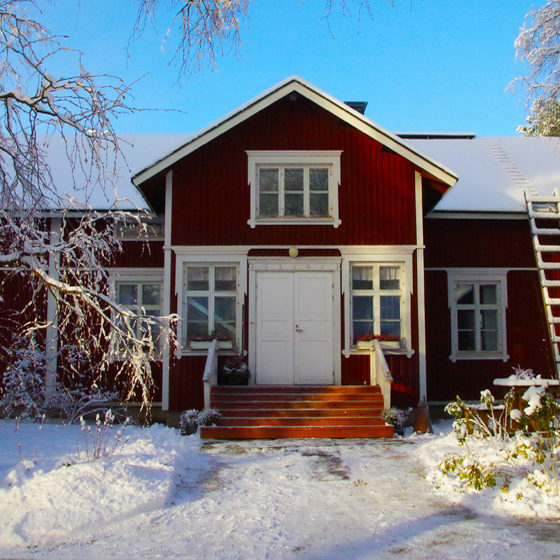 Welcome to Arctic Dreams house and one of the most Iconic villas in Lapland – Wikkelä Villa in Ranua! 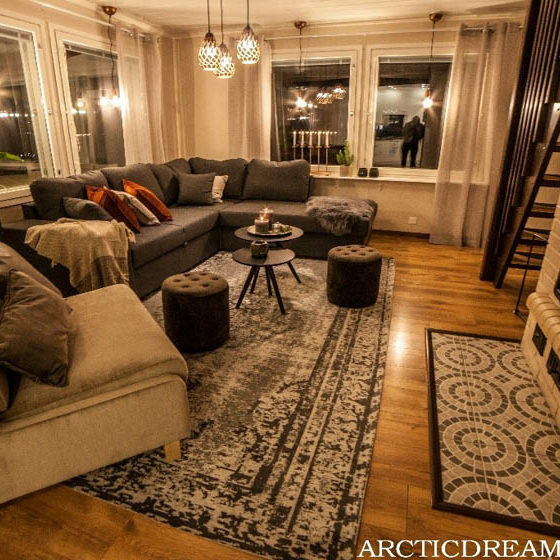 Welcome to Arctic Dreams House and experience redefined luxury, authentic and holistic staying in The Luxury Downtown Rovaniemi Apartment. 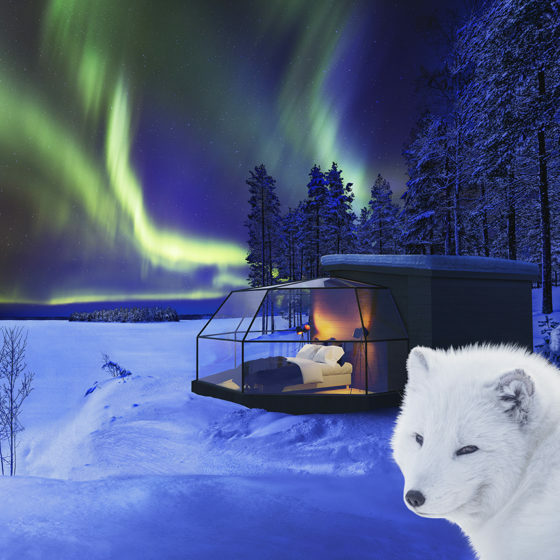 Arctic Fox Igloos are located on the peaceful shores of the lake Ranuanjärvi, far from the disturbance of light pollution. Unique “northern lights friendly” Arctic Glass Igloos are located just next to the Arctic SnowHotel. They offer “all-sky vision” in complete comfort. 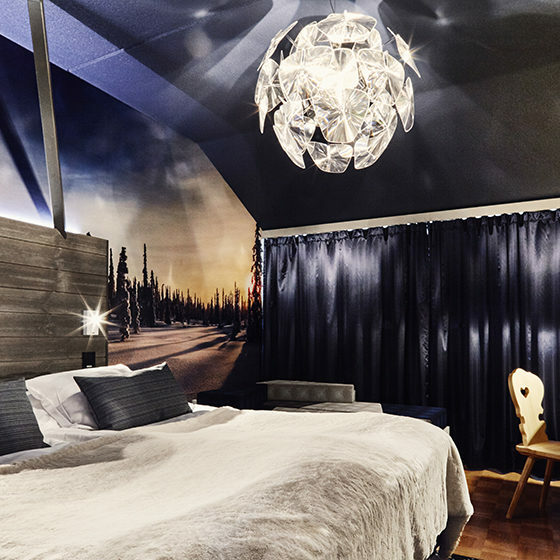 Arctic Light Hotel is a brand new contemporary hotel situated in Rovaniemi. The family-owned hotel is easy to reach and it's only steps away from the main activity providers, shopping facilities and cultural attractions. 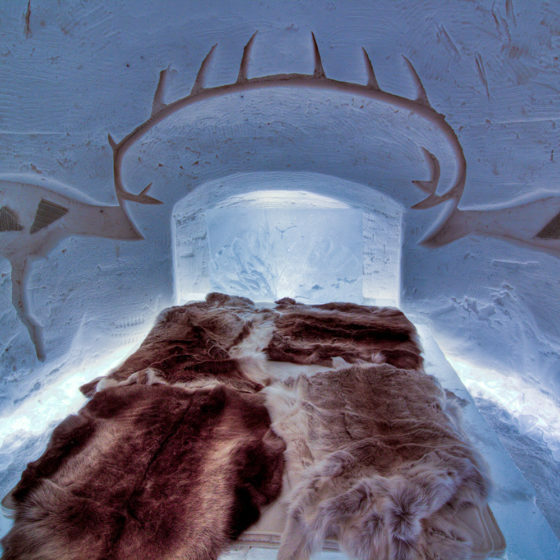 The Arctic SnowHotel in Rovaniemi, Finland is an entire world of snow and an experience destination that provides an exotic possibility to spend the night sheltered by snow. 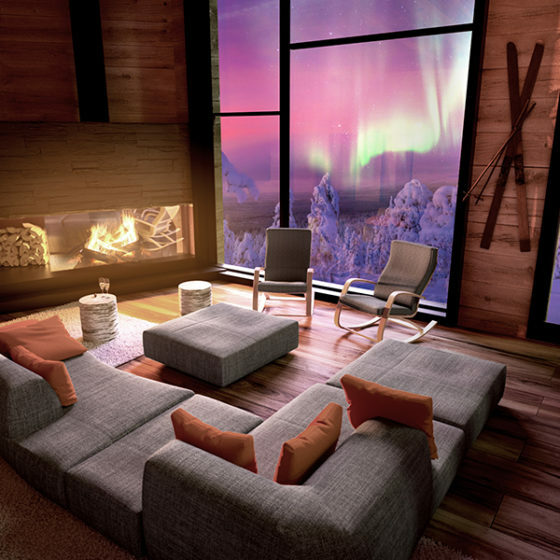 Welcome to the luxury comfort of the first Arctic TreeHouse Hotel. 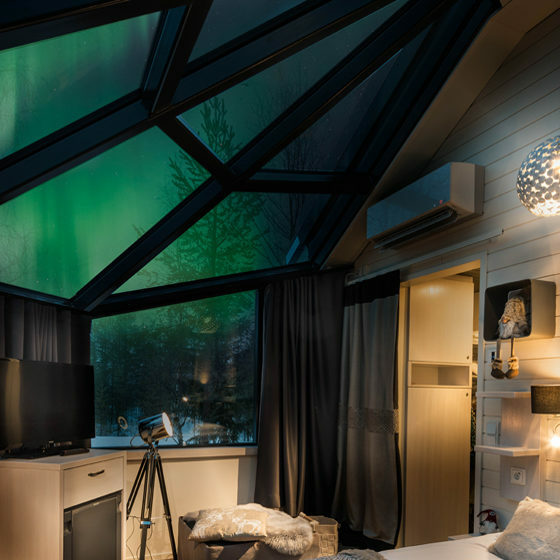 We offer you a brand new way to experience the Arctic Circle and the beauty of the Northern Lights in the nest like atmosphere of our thoughtfully designed suites. 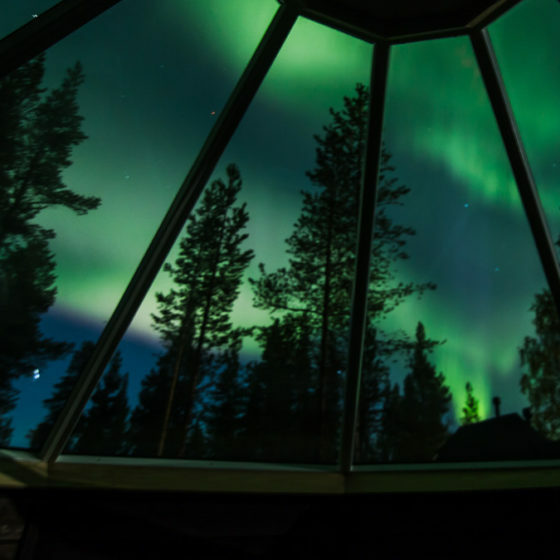 Open your eyes and see the aurora right from your bed in a perfectly positioned Aurora Nest on the lake. 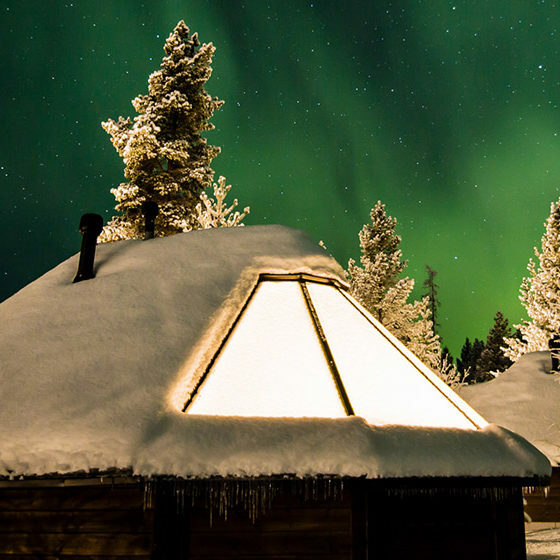 Experience authentic Lapland under the Auroras. 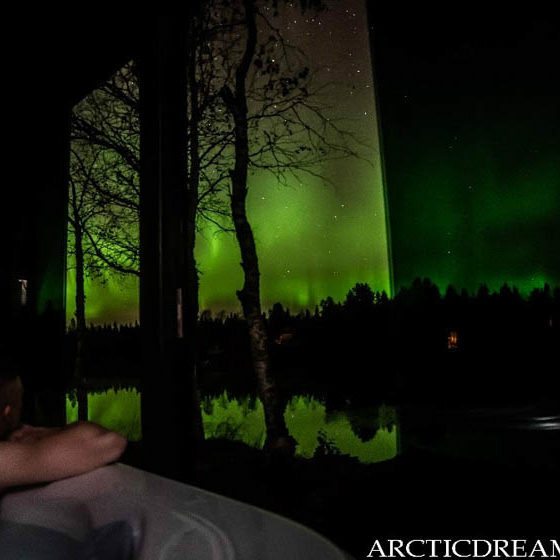 Our Aurora Cabins offer a fantastic view from the comfort of your bed towards the Northern sky where the Northern Lights most often appear. Aurora Village is located in the forests of Inari county. 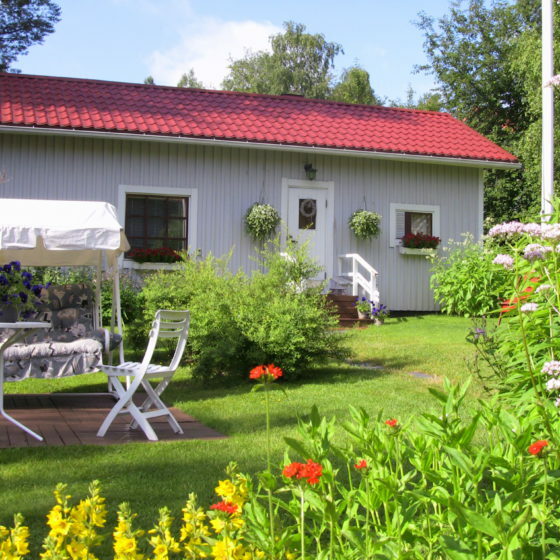 B&B Kotitie offers Bed & Breakfast accommodation for 1-6 persons in a quiet, peaceful location only few minutes away from the centre of Rovaniemi city. At Bear´s Den the untamed wilderness is all around you. 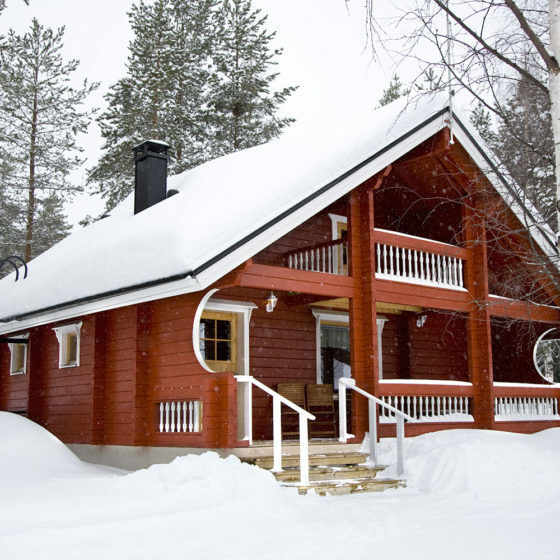 The log cabin is located only 30km from Rovaniemi city center. 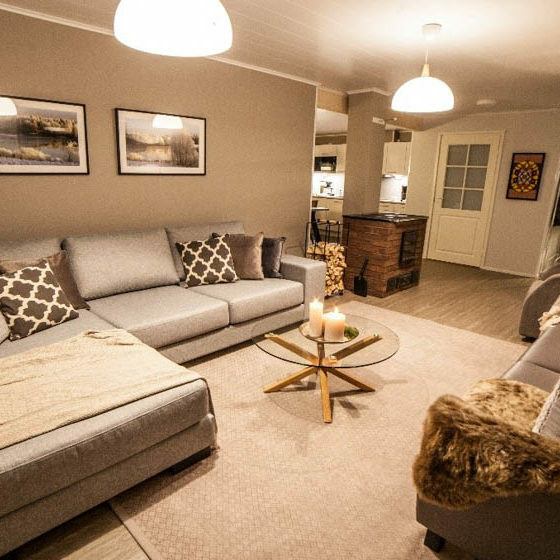 Casa Arctica is a family-run accommodation offering three apartments in central Rovaniemi. We aim to provide friendly and high-quality accommodation for all of our guests! 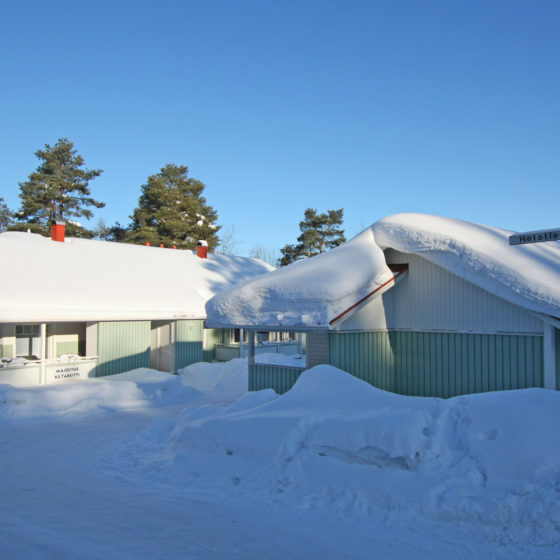 2-bedroom cottages with large balcony are located 3 km from Rovaniemi City Center, beside a top of Ounasvaara Ski Resort. 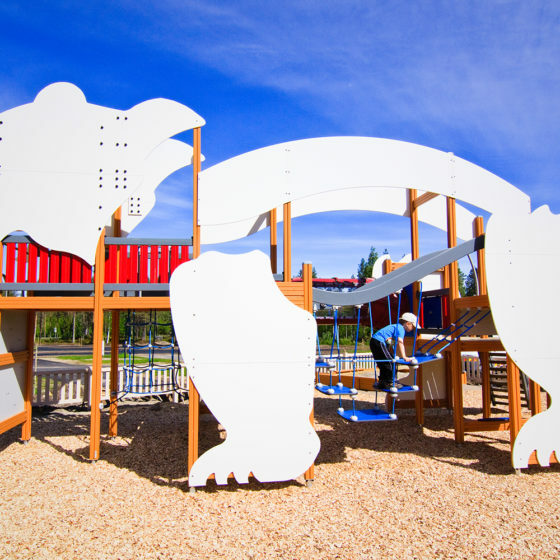 Suitable for 6 + 2 persons. Christmas Chalets bring on the seasonal spirit 365 days of the year. 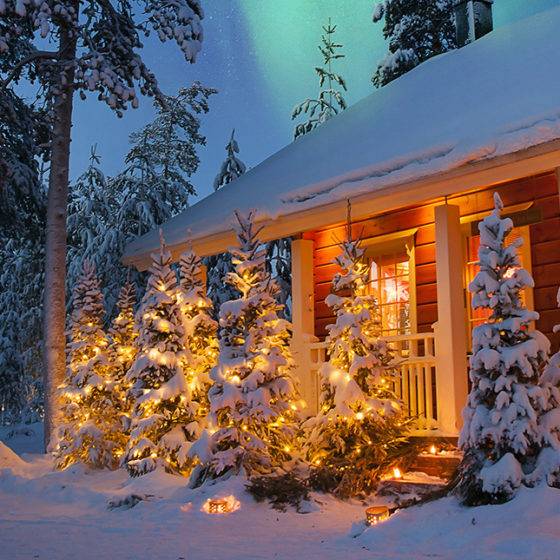 Summer or winter, autumn or spring, we guarantee you’ll spend Christmas in style in Rovaniemi, Lapland. Two Big (83,5m²) two bedroom apartments in the very heart of the city. 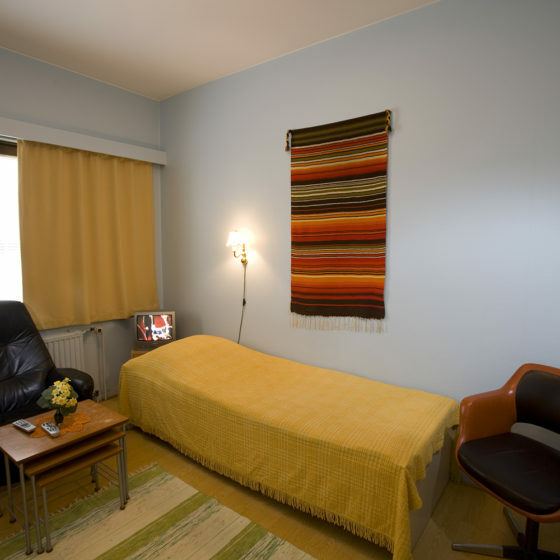 These apartments are in the same building and both are suitable for up to 6 persons. 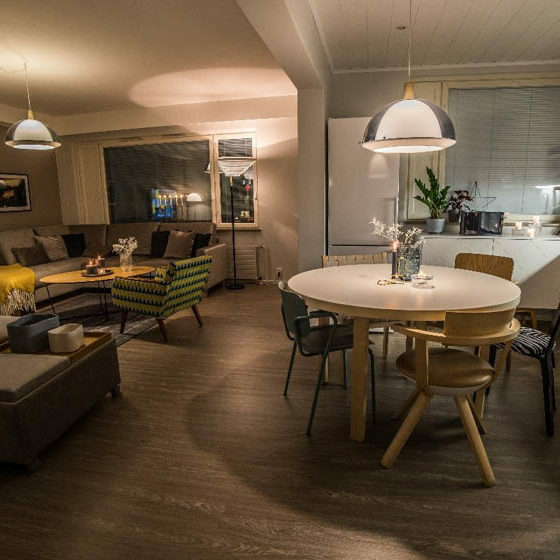 In Forenom’s apartments in Rovaniemi you live just like at home – as long as you wish. The apartments are furnished with everything you need for a comfortable stay. 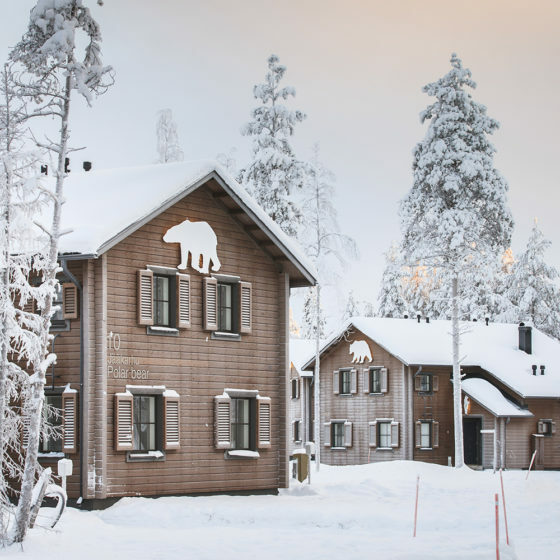 With these exclusive Golden Circle Suites, we want You to find happiness, excitement, magic and beauty of Lapland, at the Arctic Circle. 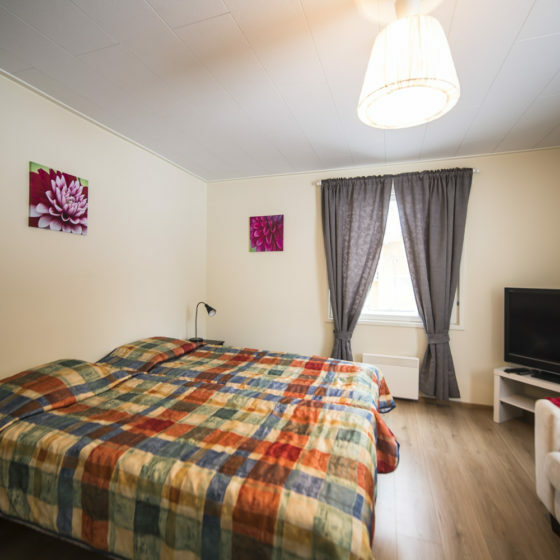 Guesthouse Borealis is an affordable and friendly, B&B accommodation in Rovaniemi run by a local family where all the family members take good care of their guests. 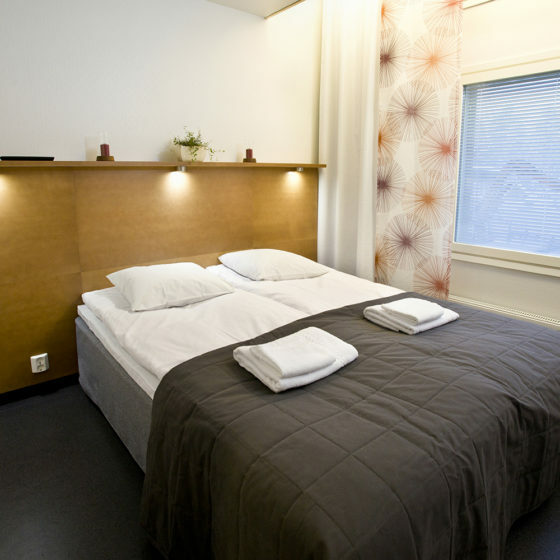 Guesthouse Outa is a reasonably priced and pleasant accommodation located in the Rovaniemi city center. 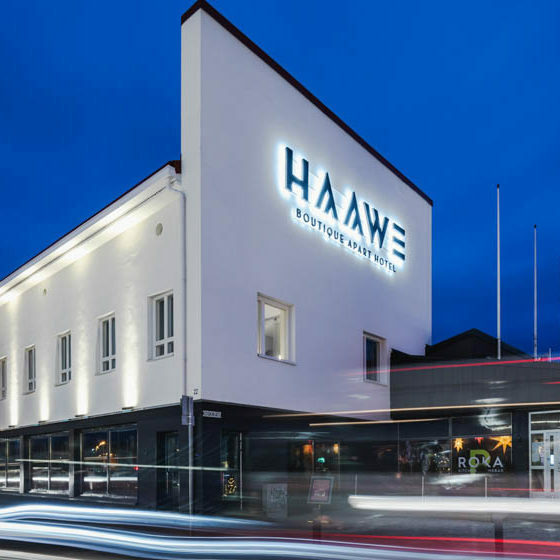 HAAWE is a design hotel located in Finland. 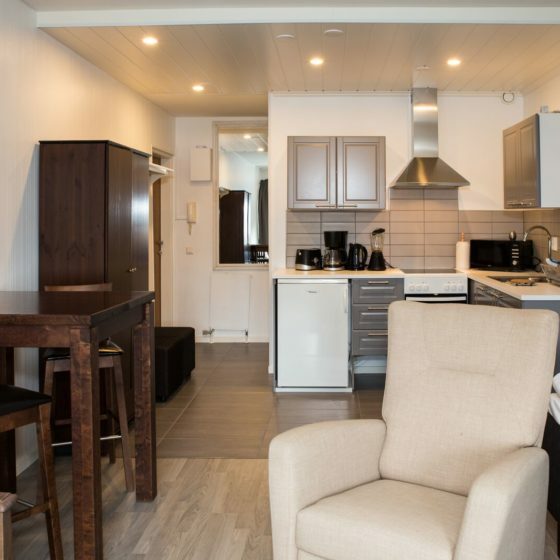 We offer unique rooms in the center of Rovaniemi. 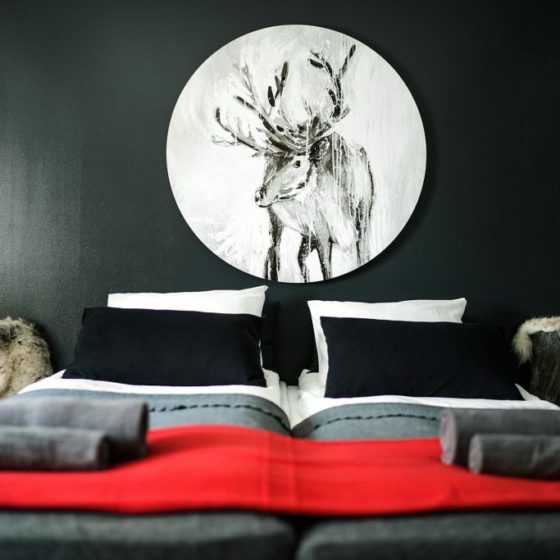 Everything in our hotel is inspired by the nature of Lapland. 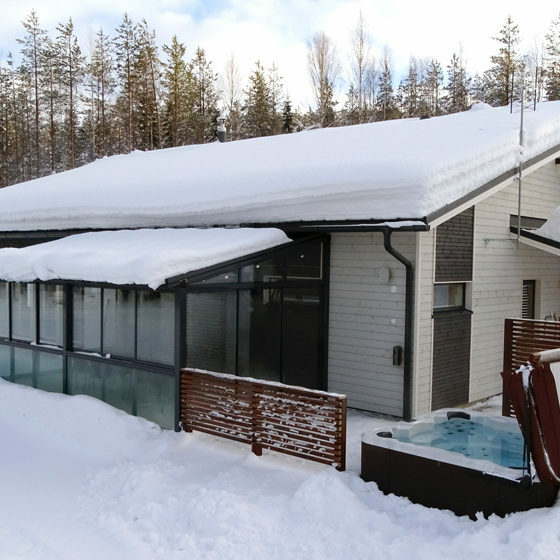 This modern chalet is located just 10 minutes’ drive from Rovaniemi city centre and features on-site cross country skiing trails, free Wi-Fi and a state-of-the-art sauna and outdoor Jacuzzi. Gulo Gulo, the new holiday village at Ranua Wildlife Park has 20 apartments capable of accommodating a total of 120 guests. Holiday Village Gulo Gulo is open throughout the year, and large variety of tourist services are at your disposal right around the corner. Hostel Café Koti is located in the heart of Rovaniemi. The building was originally a bank and the old feeling is kept in renovation but spiced up with modern and cosy touch. 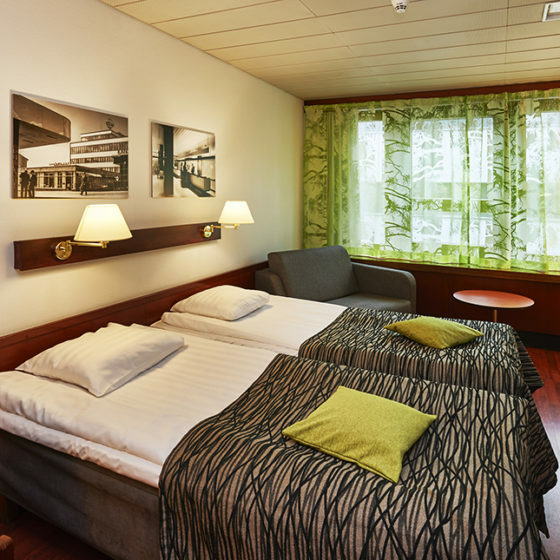 Hotel Aakenus – family owned hotel just few step away from city center of Rovaniemi. We offer good quality rooms with cozy atmosphere for affordable rates. Hotel Metsähirvas is from the 1920s and it is one of the rare buildings in Rovaniemi which has remained after the Second World War. 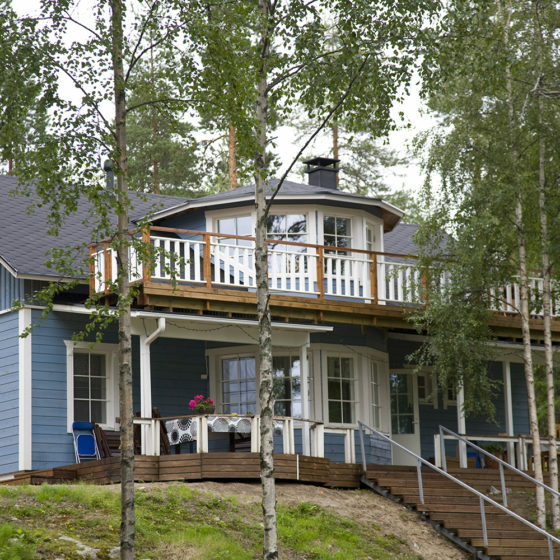 Hotel has 23 personal rooms and some rooms have view to Kemijoki river. 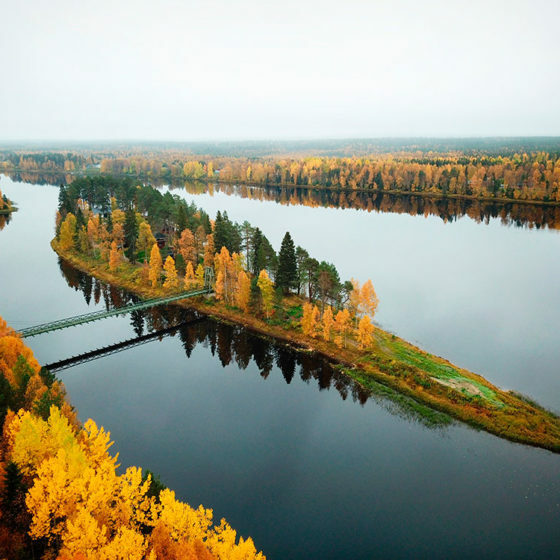 Hotel Vartiosaari is located on an island in the middle of the River Kemijoki, only 10 min from Rovaniemi. 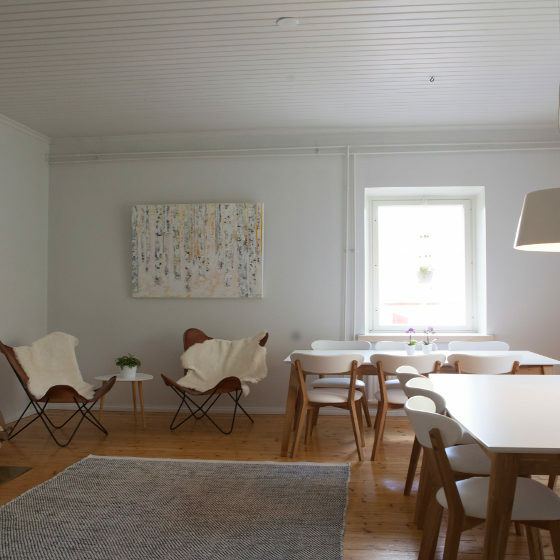 11 rooms are decorated with Finnish design classics. One of the best places for following Northern Lights. Accommodation in fully equipped holiday apartments. 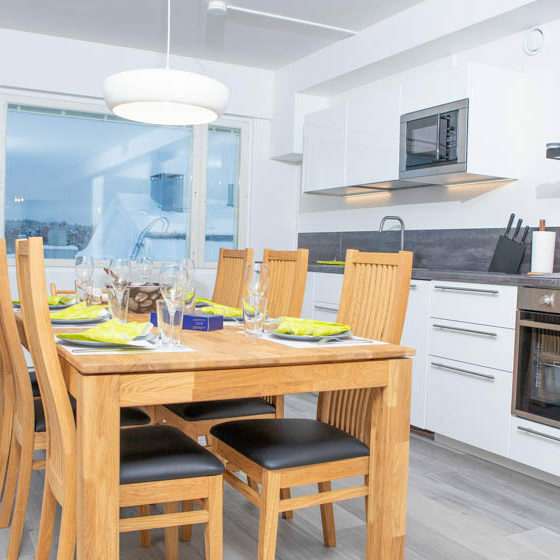 Kotareitti Apartments offers semi-detached houses located near to Ounasvaara Ski Center and Rovaniemi city center. 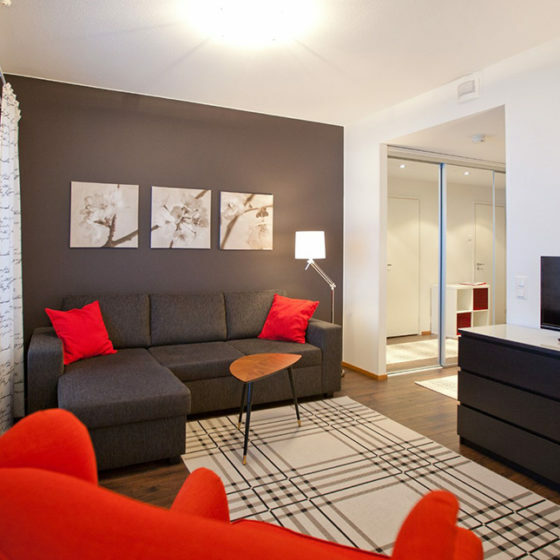 Cozy, fully furnished and equipped Kotimaailma apartments in Rovaniemi. Live comfortably close to the interesting sights of the city in a beautiful spacious apartment! 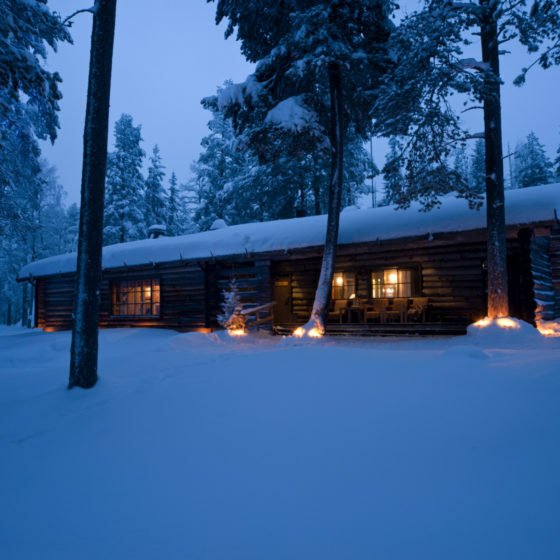 Lapland Hotels Bear’s Lodge in Rovaniemi is a magnificent wilderness hotel. This hotel will make a splendid setting for a relaxing holiday, a productive meeting or a special occasion. 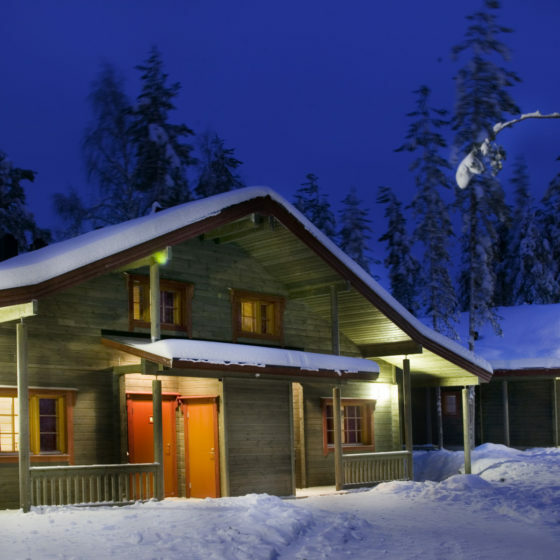 In Lapland Hotels Ounasvaara Chalets, quality accommodation and the traditional Lappish menus of restaurant Thulia will guarantee you an enjoyable stay only 3 km from the center of Rovaniemi. 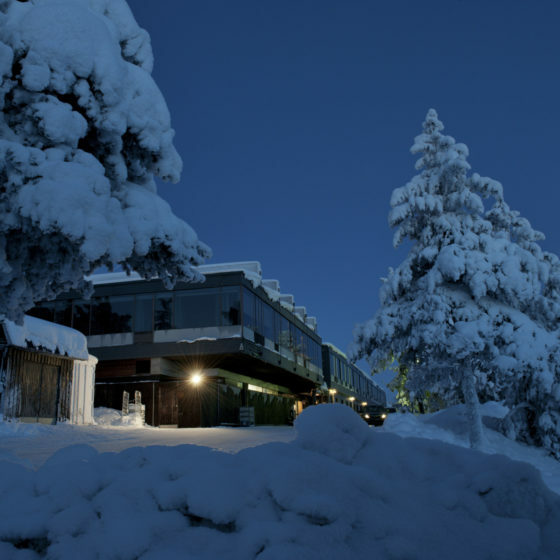 On top of the hill Ounasvaara, Rovaniemi, in the middle of Lappish nature you’ll find Lapland Hotels Sky Ounasvaara, an ideal hotel for a leisure or business traveler. 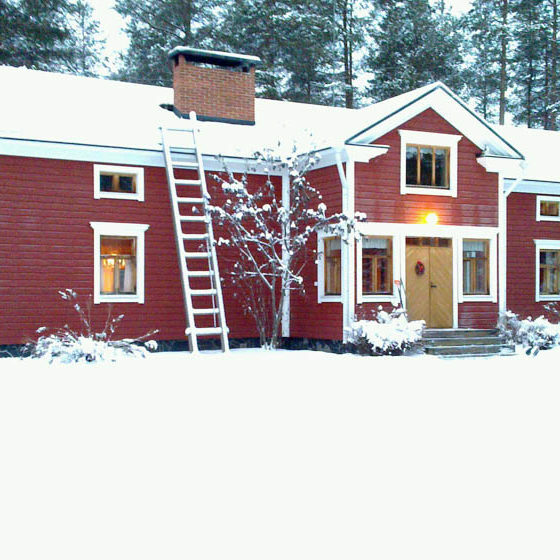 Lauri is the only historical log house complex in Rovaniemi city centre. A unique get-away from the hectic of modern life, and yet in the heart of the city. 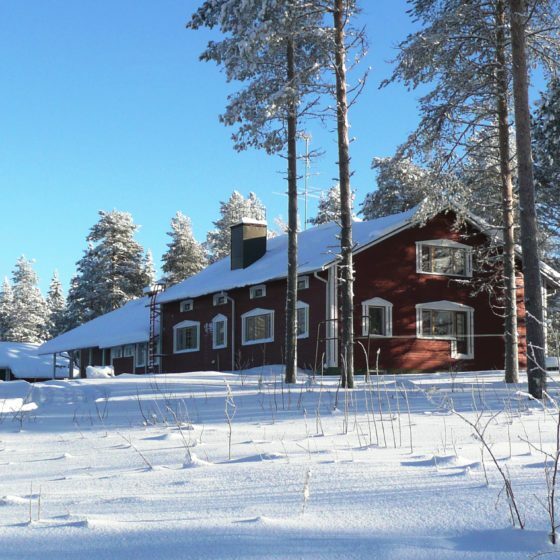 Loma-Vietonen holiday village is located in the middle of wild Lappish nature, 64 km from Rovaniemi city and it offers different kind of high standard accommodation possibilities from apartments to cottages. 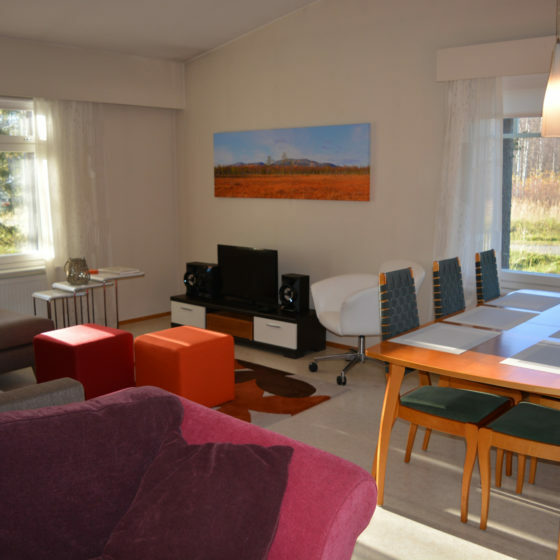 Personal home for traveller with lot of open space and good kitchen in Pyhätunturi. Cross country trail 300 m away. Downhill ski lift 10 km away. See more! 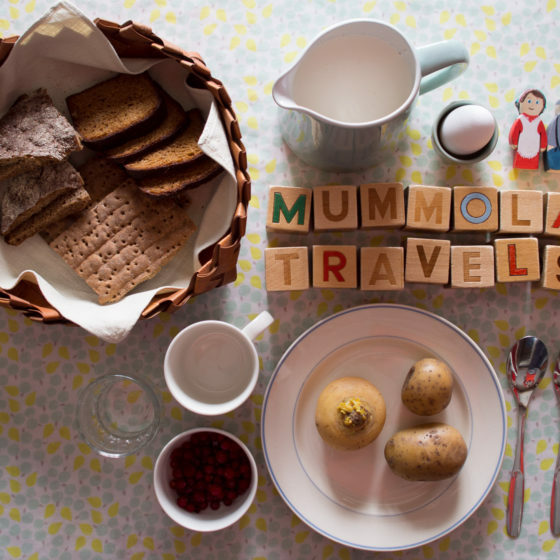 Mummola Travels would like their guests to experience Mummola (grandparent's place) and Lapland like they were friends visiting them. Napapiirin Järvilomat is a holiday village located in a rural environment on the banks of Lake Vietonen, 60 km from Rovaniemi. 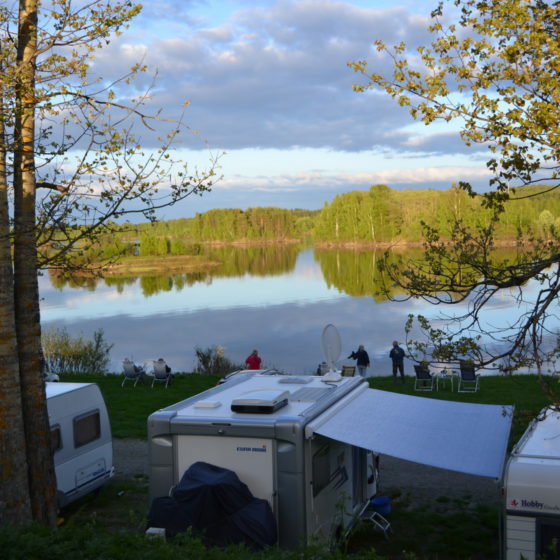 Napapiirin Saarituvat camping is situated along the beautiful river Kemijoki, 7 km from Rovaniemi. We offer camping services in summertime. Napapiirin Saarituvat is situated along the beautiful river Kemijoki, 7 km from Rovaniemi. We offer self-catering accommodation in cosy and tiny red cottages. 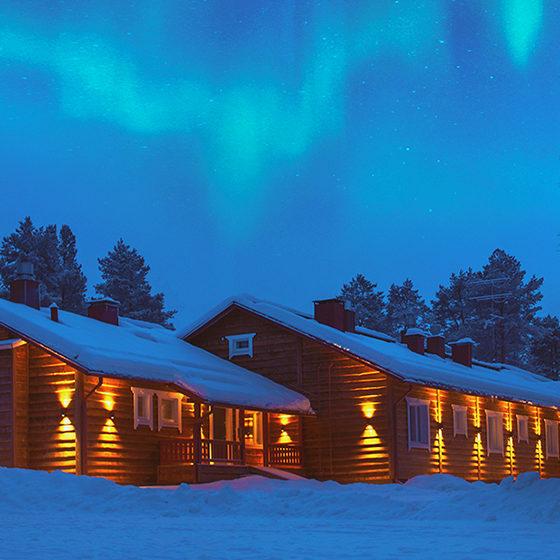 Nestled in the serene nature of Lapland, Nova Skyland hotel offers a unique experience in high-quality lodgings with friendly and attentive service. OCTOLA lodge is a harmonious combination of a modern glass house, rustic wilderness cabin, and private luxury hotel. 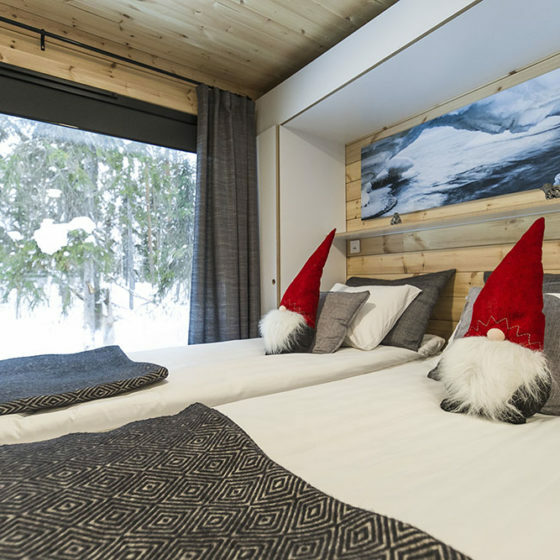 Stay in OCTOLA, the most exclusive lodge in the Nordic region, is fully catered and comes with a selection of local experiences that let you fully immerse in the local way of life. 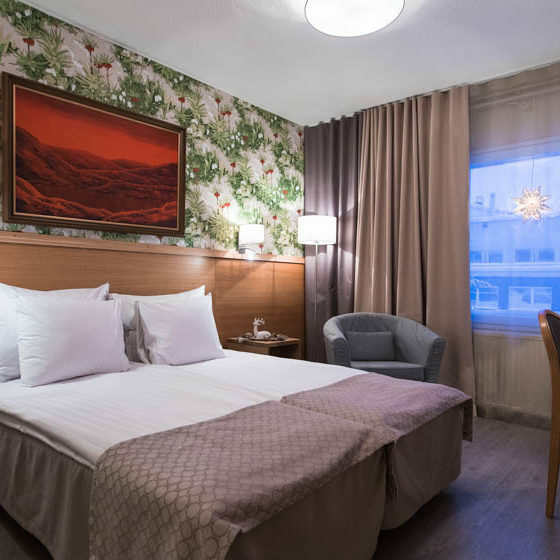 Original Sokos Hotel Vaakuna, located in the center of Rovaniemi, Lapland, is a high-class, international hotel featuring Lappish hospitality. You find us in the midst of the beautiful scenery of Rovaniemi, on the bank of the river Kemijoki. 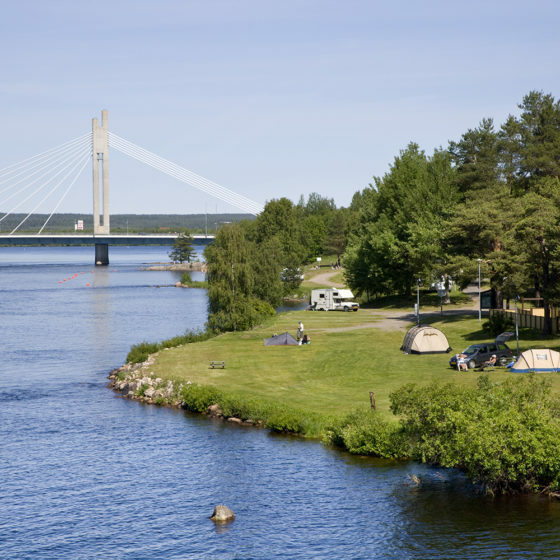 Ounaskoski Camping has facilities for tents and caravans. 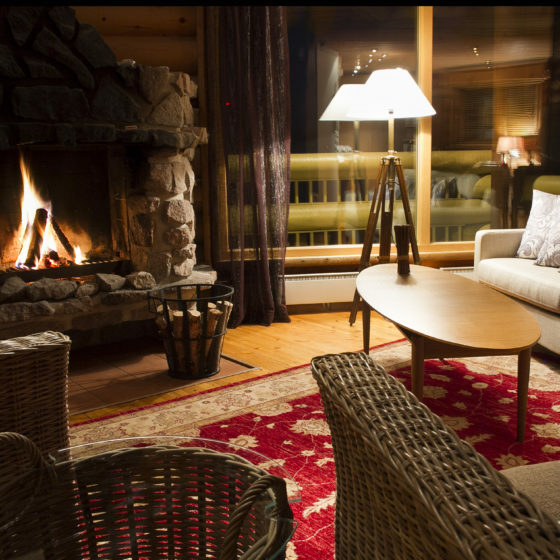 Ounasvaaran Lakituvat luxurious chalets are located in the beautiful and tranquil surroundings on top of the Ounasvaara hill. Parpalandia Cottages offers a spacious 6-bedroom chalet located in Muurola. 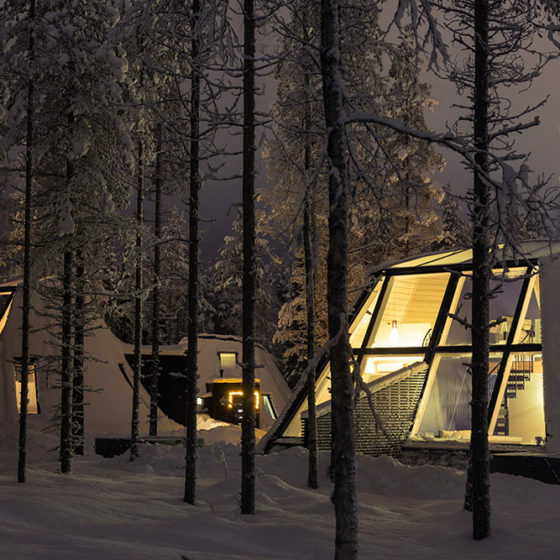 You will be in the midst of the Lapland forests, while still connected with free WiFi. 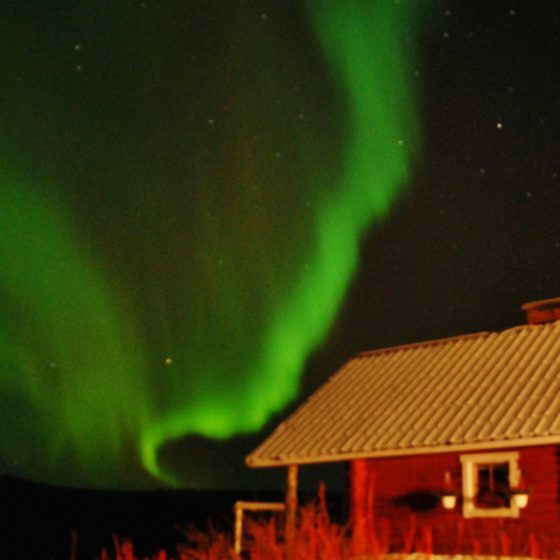 Northern Lights tours and other activities can be organized with the property. 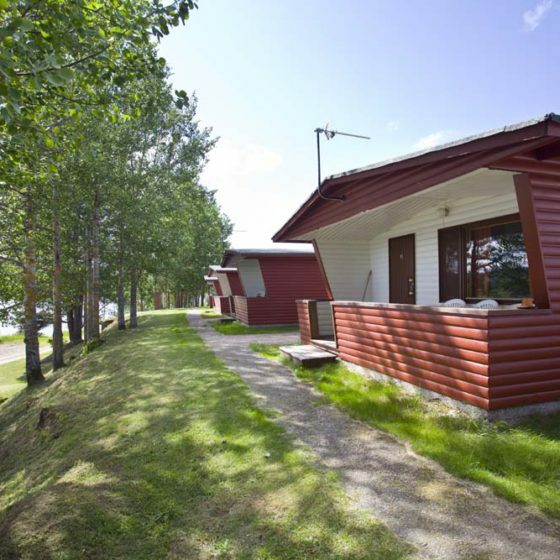 Poro-Pekan Pirtti accommodation facilities are located on the banks of river Ounasjoki in a traditional landscape with valuable cultural history, 50 km from Rovaniemi city. 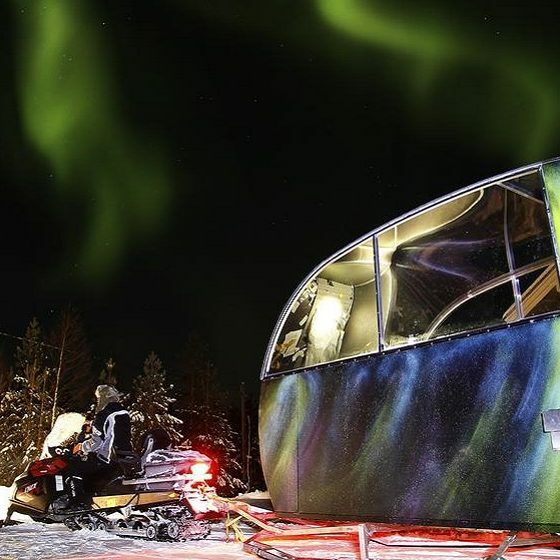 Pyhä Igloos offer you an unique experience in the embrace of the Northern Lights and the Finnish Lapland nature. They are located on the peaceful and pristine Pyhätunturi in Finnish Lapland. RanuaZoo Camping is an excellent base, whether your intentions are short or longer trips to the wilderness of Ranua or to Ranua Wildlife Park. The caravan area is open year around. 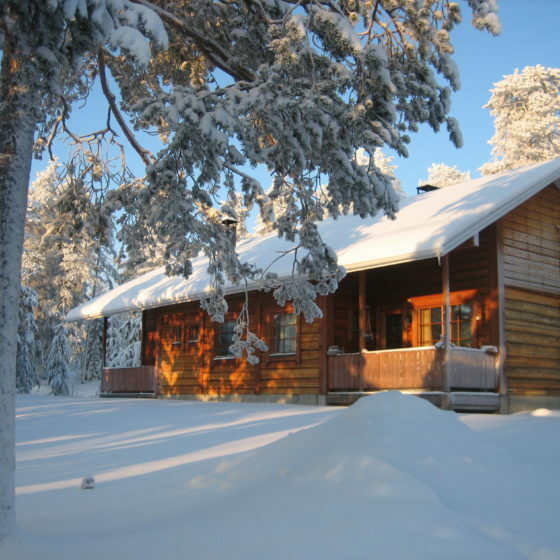 Located just outside the hustle and bustle of the city in the heart of picturesque and relaxing nature you will find the Rehto villa, designed in the authentic southern Lapland style. Rehto provides genuine Finnish experiences for 10 persons. 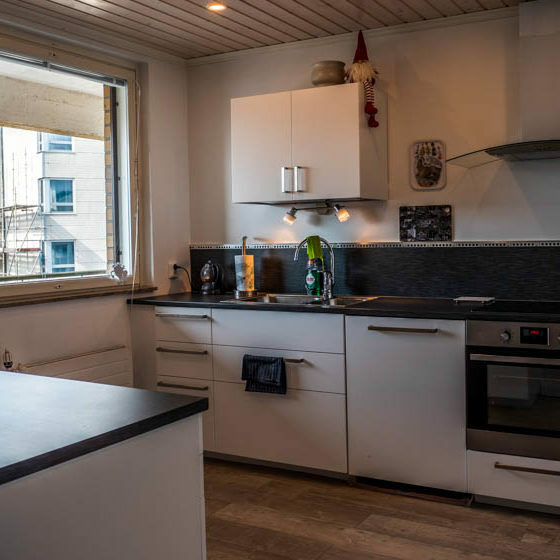 Big (91m²) three bedroom apartment next to the Kemijoki River. Apartment is suitable for up to 8 persons. 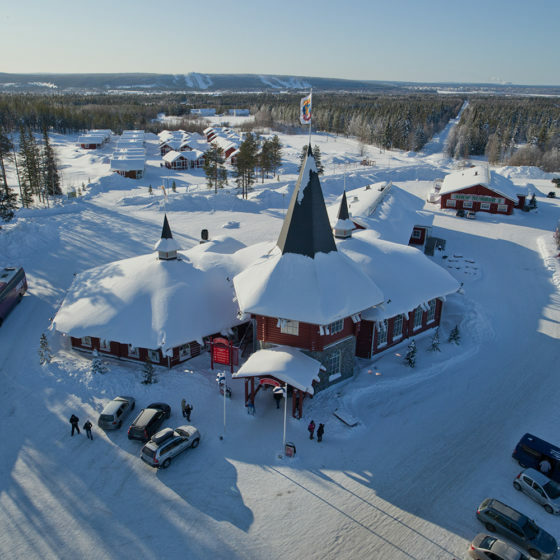 Santa Claus Holiday Village offers hotel-standard accommodation in cabins at the Arctic Circle, in the heart of Santa Claus Village. 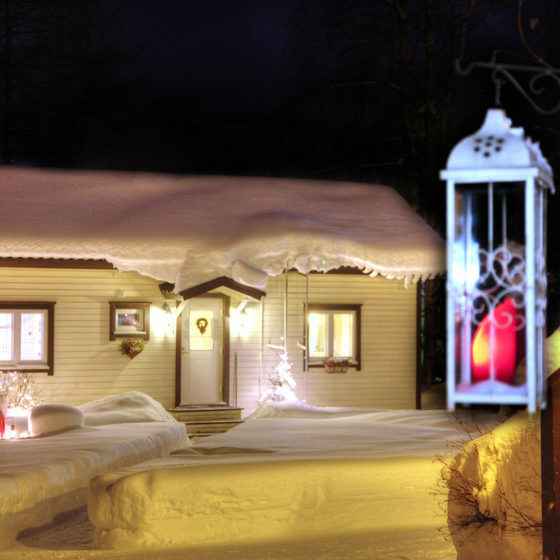 Santa's Holiday Homes offer cozy apartments in Rovaniemi city centre. Apartments are fully equipped and include free WiFi. All services are right around the corner. 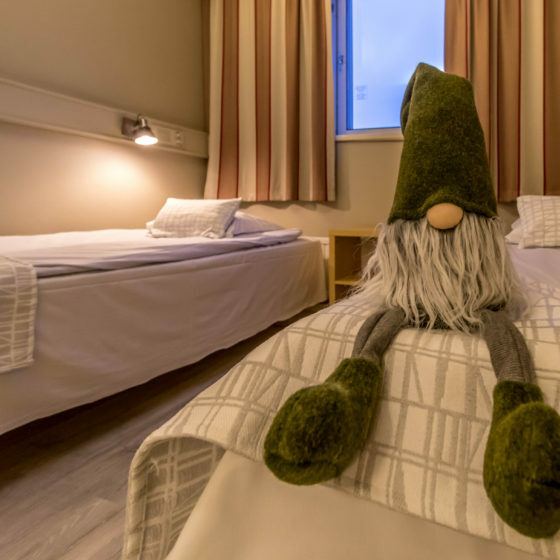 Santa's Hotel Rudolf is cozy and non-smoking hostel located only 600 m from the center of Rovaniemi. The hotel is part of family-owned Santa's Hotels chain. Santa's Hotel Santa Claus is a high-quality hotel and it's located in the center of Rovaniemi at the Lordi's Square and along the promenade. Santa's Igloos Arctic Circle, premium glass igloos by Santa's Hotel Santa Claus are located in the Santa Claus Village on the Arctic Circle in Rovaniemi, Lapland. Have a nice stay at Santasport Apartment Hotel! All our rooms have a cosy interior with good amenities for your stay! 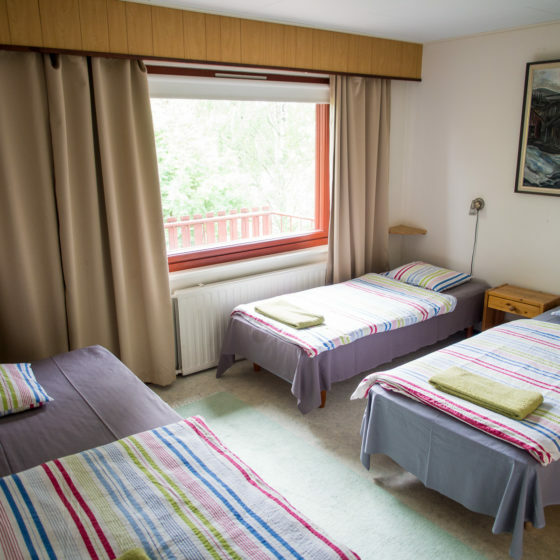 Spacious Sporthotel rooms, wide variety of wellbeing services and amazing nature of Ounasvaara - more than just a regular night at hotel! 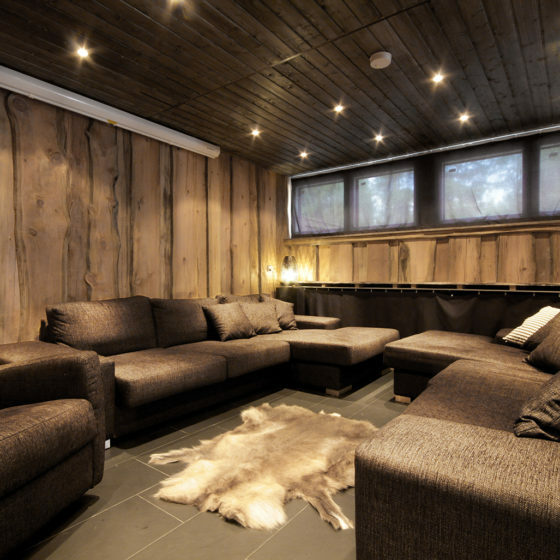 Scandic Pohjanhovi is a legend of the North; a truly versatile and Lappish meeting place where guests from all over the world feel at home. 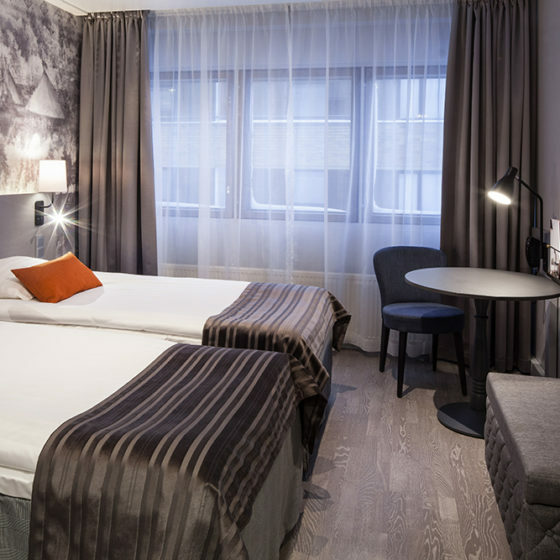 Scandic Polar is a cozy and comfortable hotel open on winter season from December to March. 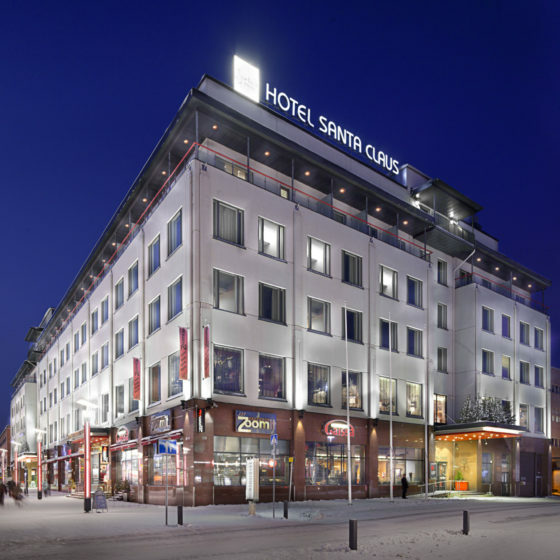 The hotel is located right in the city center of Rovaniemi. 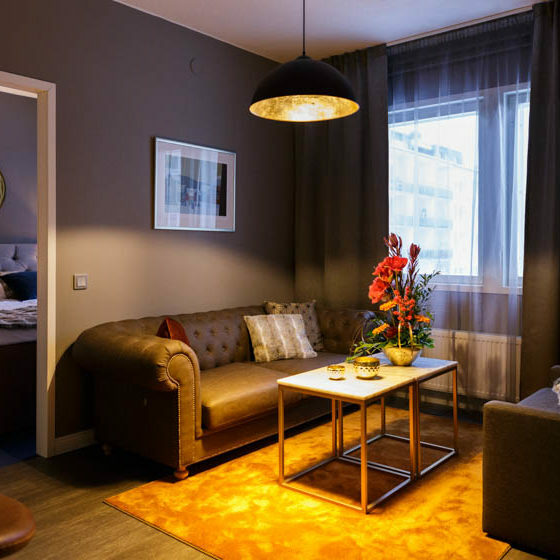 A calm and cozy hotel right in the centre of Rovaniemi. 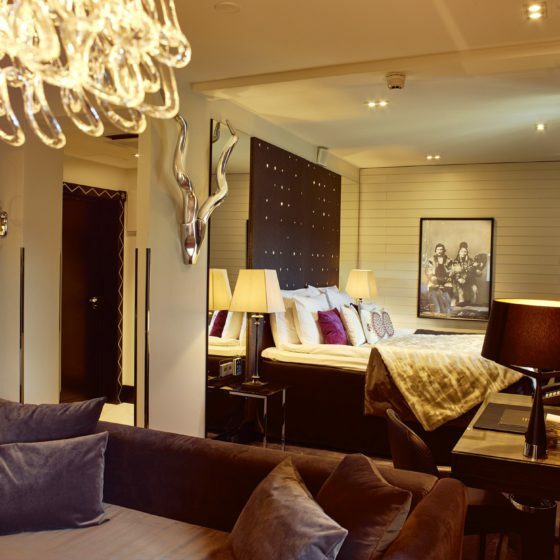 The stylishly refurbished rooms and extensive room selection cater for all needs. 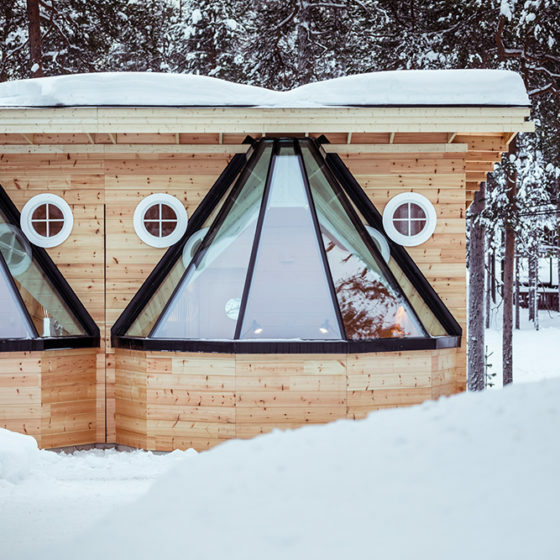 SnowBrick Sine iGloo Village is in Sinettä, close to Rovaniemi. 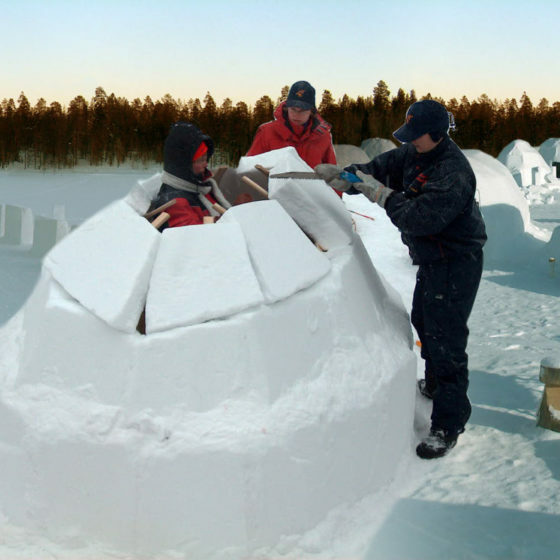 Have unforgettable moments by building your own igloo and spending night in it in Lappish countryside. 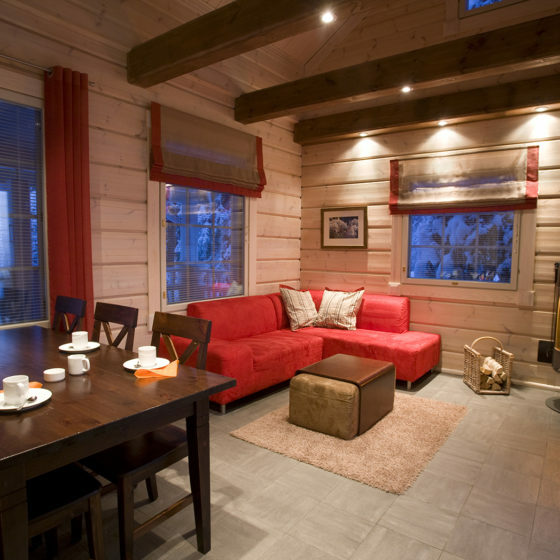 New luxury accommodation in Santa Claus Village in Rovaniemi. Glass Resort offers a glass igloo type accommodation with more space and luxury feel with private outdoor hot spa and sauna. 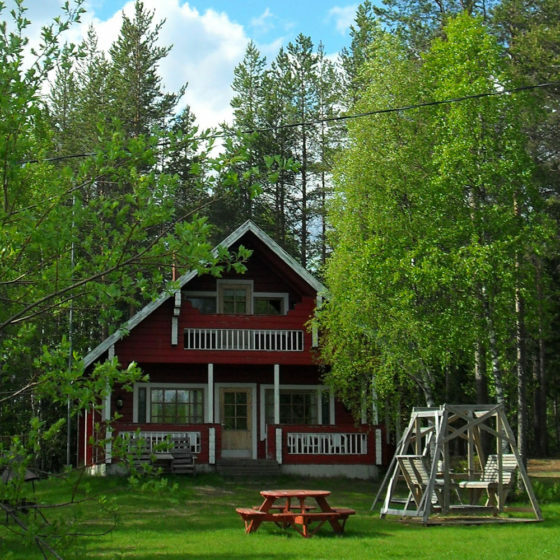 Well-equipped cottages are located by lakes Sonkalampi and Palojärvi which offers great opportunity to all kind of forest excursions and berry picking trips. 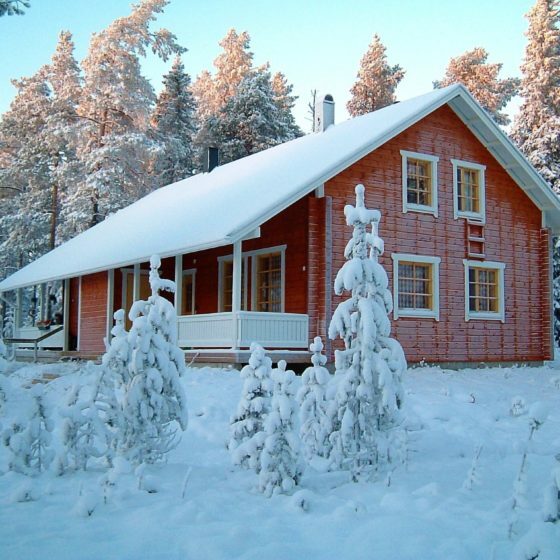 Ukonloma cottages are three wilderness cottages near Rovaniemi city area, only 11 km from the city center. Cottages are very well equipped and suitable for four to six persons. 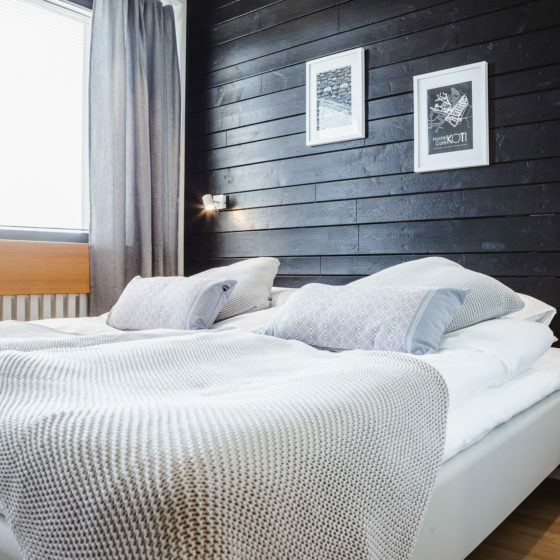 Villa Apukka in Rovaniemi offers accommodation in a solid stone house with high-quality, Scandinavian-style furnishings. Equipped with outdoor hot tub. Suited for 10 guests, 128m². The cottage has large living room combined with top quality kitchen. 3 bedrooms and two sofa beds in the living room. Beautiful natural scenery, top-quality accommodation and optimal location guarantees unforgettable holiday in Villa Mustikkakumpu! 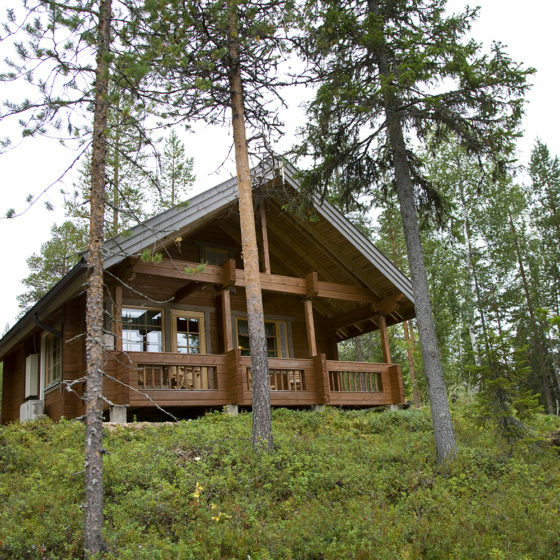 Villa Snowest is a unique place for adventure seekers and nature lovers located in Rovaniemi offering plenty of guided activities for their customers. 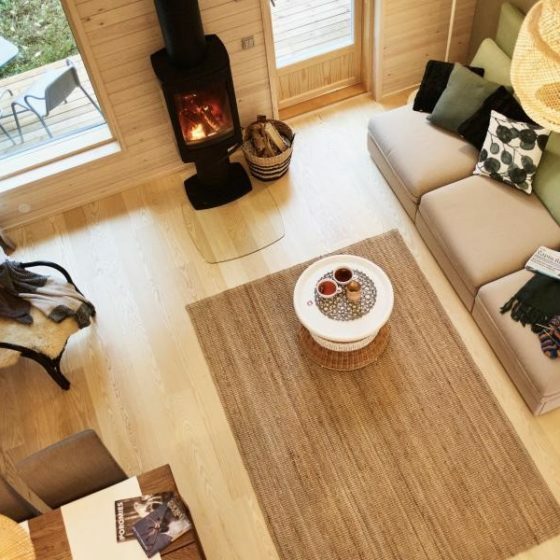 Beautiful and luxurious Villa Somosenranta is located near river Raudanjoki in the middle of nature, but only 20 km drive from the city of Rovaniemi. This is a unique possibility to spend an unforgettable night in the arctic wilderness. 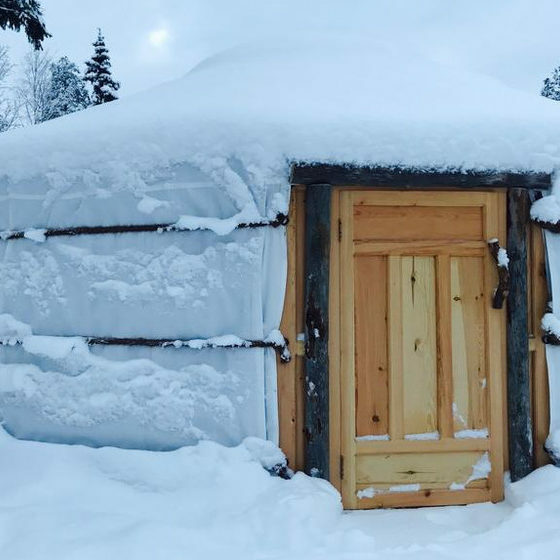 Cozy and warm Yurts are located 25km from Rovaniemi centrum, and are right next to a big river or at the hill top with beautiful forest hill view.